Walk in the front door to a 2 story foyer and Family Room, with hard wood floors, 11 can lights, ceiling fan, a REAL masonry fireplace and chimney. The Kitchen is open to the Family Room and Dining room and it features granite counter tops, stainless farm sink, tile backsplash, island, custom cabinets, can lights, walk in pantry, and Whirlpool appliances including the refrigerator. Also in the kitchen is a large breakfast area. The formal Dining Room, just off the kitchen, has hardwood floors, chair and picture molding. The Master Bedroom, which is on the main, features carpet, can lights, ceiling fan, double trey ceiling and a door to the covered wrap around porch. The Master Bath has a raise garden tub, tile shower, separate his and her vanities, tile floor, large walk in closet, and a door to the Laundry Room. The Laundry Room features custom cabinets, granite counter top with sink, and tile floors. Just off the Laundry Room and Kitchen, is a half bath. On the second level, there are two bedrooms, with carpet, ceiling fans, and walk-in closets. Between the two bedrooms, is a shared bath with double vanity, tub shower combo, and tile floors. Most of the Basement is finished, with a Bedroom, Media Room, Den with a Fireplace, and office that could be used as a 5th bedroom. Key features of this Home is, 6 acres, covered front and back porch, two car garage with lots of storage, 2 masonry fire places, good location, and Oconee County Schools! Whitlow Creek is a subdivision within the city of Bishop, Georgia. There are currently 8 Homes for Sale within Whitlow Creek, with asking prices ranging from $379,900 to $419,900. The average list price per square foot of the available inventory in Whitlow Creek is $136, which is below the Bishop average of $194. The Average Sales price of all sold real estate in this subdivision for the past year is $346,595. Recent comparable homes have been selling for 96.79% of their asking price. Waterfront homes represent 0.00% of the available Whitlow Creek inventory. The population of Bishop, according to the 2010 Census, is 224. The total number of households in the zip code of Whitlow Creek is 1,723, with an average household size for of 2.92 people. The total number of renter households within the zip code of 30621 is 223, which means that 87.06% of households in this zipcode are owner occupant households. LISTING PROVIDED COURTESY OF Eddy, The Leaders Real Estate Group, Inc.
2030 Union Church Road, Bishop GA 30621 is a Home, with 4 bedrooms which is recently sold, it has 3,855 sqft, 6+ - 7 sized lot, and Garage,Detached,Kitchen parking. 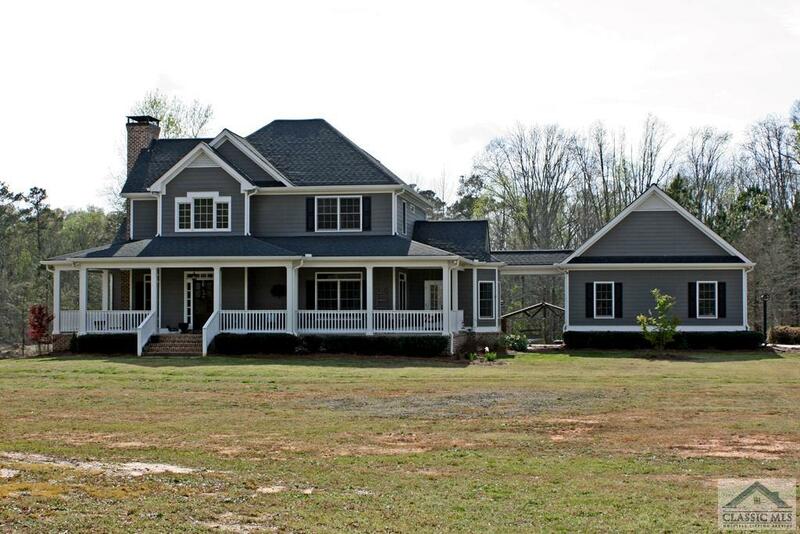 A comparable Home, has 4 bedrooms and 3 baths, it was built in and is located at 5431 Whitlow Creek Bishop GA 30621 and for sale by its owner at $ 389,900. This home is located in the city of Bishop , in zip code 30621, this Oconee County Home, it is in the Whitlow Creek Subdivision, and Boulder Springs are nearby neighborhoods.